Also: Apple recruiters pursuing engineers with Google maps experience. For an often humorous take on Apple map issues, check out this site. Apple iOS 6 maps may be subpar, but iPhone 5 hardware has gotten high praise. CNET says it’s the iPhone we’ve always wanted. PC Magazine finds it to be the fastest smartphone in the land. Engadget just tested low light and video camera stabilization quality on four of the newest SmartPhones, the iPhone 5, Galaxy S III and HTC One X and the Nokia Lumia 920, which will be released in November. The results are clear: the Lumia beat the other competitors hands-down. Barnes & Noble announced new 7 and 9 inch tablets and a new video service. The 7 incher features the highest resolution of any device in its class: 1440 x 900 pixels. The 9 inch model comes in at 1920 x 1280. Following tradition, the devices have no cameras but both feature microSD slots. Unlike any of their competitors, the devices support multiple user profiles and family-friendly software that parents can use to set desired permissions for kid’s profiles. It occurs to me that the law has it backwards: humans should be allowed to drive cars as long as an autonomous system is on board to take over in case of human failure. Sales are going to be lackluster until they install it in something more exciting than a Prius. Mike Greenfield’s Numerate Choir is one of my favorite blogs. His recent post on entrepreneurs’ motives for creating startups is a great read. CNET has the squatting story. Technapex has details of the newly launched startup site. 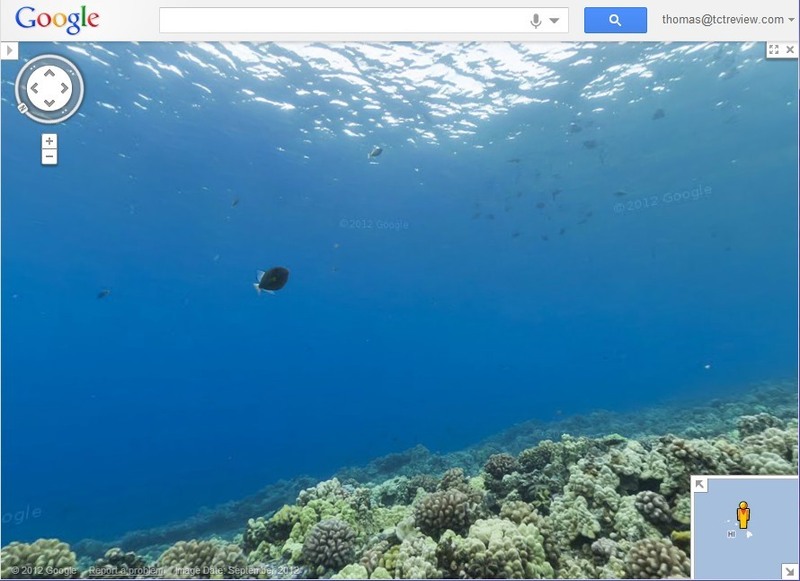 Google Maps Street View goes underwater and returns with spectacular coral reef images. The camera-scooters used to capture the magnificent views will gladden any photo-geek’s heart.